Lesson 134: This lesson is an organization of all of the English-based words I could come up with. 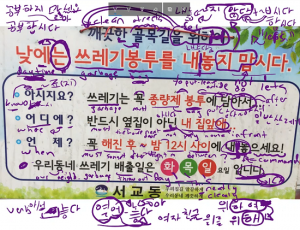 I talk about these “Konglish” words in three sections: words borrowed from English where the meaning is different than the English usage; words that are a combination of English and Korean; words in Korean that have been directly borrowed from English. 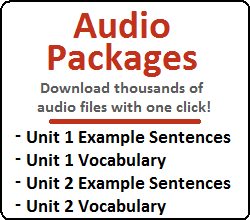 Lesson 135: In this lesson, you will learn about the syllable 성. You will learn that 성 can have the meaning of a) Character or a range of some quality, b) completion, or c) loyalty and devotion. 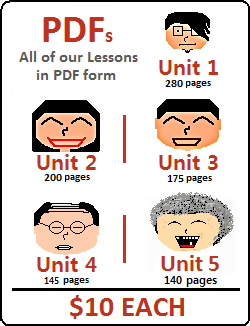 Lesson 136: In this lesson, you will learn about ~기에 and ~길래. These grammatical principles are used to create a meaning of “so” or “because,” which often leads learners of Korean confused with how these may be different than ~아/어서. 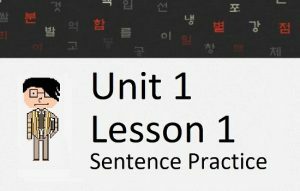 Lesson 137: In this lesson, you will learn how to add ~아/어야 to the end of a clause. You saw this grammatical principle in a previous lesson, but only followed by 하다. We will look at how this is used in all other situations.